What is special about ergogain cookies? Ergogain that offers the possibility of making, according to the intensity of exercise, a naturally nutritional, balanced and high energy content product. The specific nutritional composition and adjustable Ergogain intake strategy confers a new approach in sports nutrition and quality of life of athletes and, in the general population, at large. 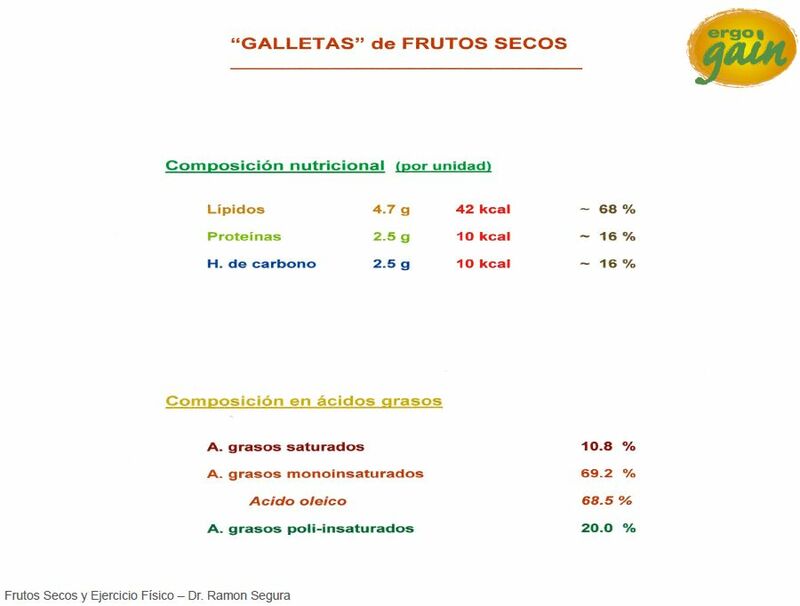 Ergogain cookies have been designed and developed under the guidance of Dr. Ramon Segura. 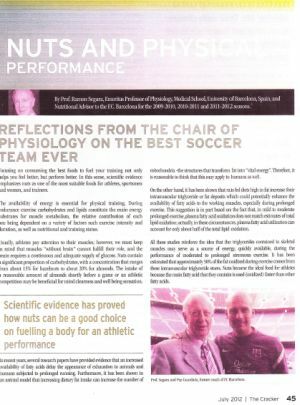 Dr. Segura is Professor Emeritus of Physiology at the Medical School, , Professor at the Professional School of Sports Medicine and Physical Education and Co-director of the Master in Underwater and Hyperbaric Medicine, at the University of Barcelona. Since 2008 is a member of number, elected to the Royal Academy of Medicine of Catalonia. Professor Segura was awarded a scholarship by the Alexander von Humboldt Foundation during the years 1963 and 1964, and the British Council, during the year 1965 for graduate studies and research at the Universitäts Krankenhaus Eppendorf and at the Hospital for Sick Children, in Hamburg and London, respectively. After a few years as Assistant Professor of Biochemistry and Physiology at the Faculty of Medicine of the University of Barcelona, ​​Dr. Segura moved to Houston (Texas) where he worked as a Research Associate at the University of Houston, between 1969 and 1971, and , from 1971 to late 1975, as Assistant Professor in the Department of Medicine at the Baylor College of Medicine) of Houston, located in the spectacular health center known as Texas Medical Center, working primarily on the metabolism lipids and lipoproteins. From 1976 to 1986 he was Professor and Chairman, Department of Physiological Sciences, in the Faculty of Medicine of the Autonomous University of Barcelona, ​​where he served as Vice-Chancellor during the years 1978-1982. In 1986 he won again, by public competition, the position of Professor of Physiology in the Faculty of Medicine of the University of Barcelona where he conducted his teaching and research activities until 2005 when he was awarded the Professor Emeritus status. During these years he also served as Co-Director and Professor of the Master in Nutrition of the University of Barcelona. Dr. Segura has published 12 books and has written 32 book chapters devoted to topics of their specialty. He has published over 150 scientific papers in international journals on topics related to lipid metabolism, nutrition, exercise physiology and sports, ... and 45 scientific articles in various magazines and newspapers. He has presented 130 papers at conferences and scientific meetings. Since 1981, Dr. Segura has directed 34 doctoral theses carried on topics in physiology and pathophysiology. He has taught numerous courses on nutrition, metabolism, exercise, etc.. and has given more than five hundred lectures, presentations, ... (by invitation) in various forums and meetings at national and international levels. He was president of the Catalan Society of Endocrinology and Nutrition (1981-1983) and vice president of the Spanish Society of Endocrinology (1981-1983). He is a member of the Catalan Association of Food Science of which he was a co-founder and vice president during the years 1981-1983 and a member of its board of directors during the period 2008-2012. Apart from these scientific and professional societies, he is a member of the Academy of Medical Sciences of Catalonia and the Balearic Islands (1957 - ...), the College of Physicians of Barcelona (1960 - ...), the Spanish Society of Biochemistry (1968 - ...) the Catalan Society of Biology (1971 - ...), the American Oil Chemists' Society (1973 - ...), the New York Academy of Sciences (1980 - ...), the International Society for the Study of Fat and Lipids (2004 - ...). .... He has been a member of the Editorial Board of several scientific journals, among them, the “Revista Española de Fisiología” (later converted into the Journal of Physiology and Biochemistry),” Medicina Clínica”, Insider, a trimonthly publication where the most prestigious experts in sports nutrition and exercise wrote review articles and their own experiences. 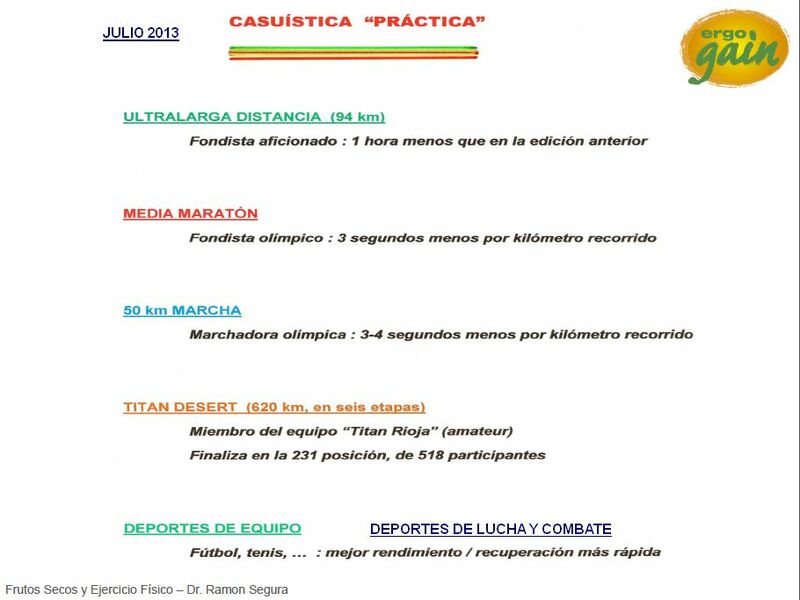 Apart from having a wide experience in research on physiology for health and athletic performance, Dr. Segura has advised and controlled, from the functional and nutritional point of view and nutrition, sports numerous sport practitioners from different specialties, from the rider Joan "Nani" Roma (participant in 9 of the Dakar Rallies and winner in the 2004 edition) Lloret Rogent wrestler (BJJ European Champion in 2009 and international competitor MMA) athletes and coaches of the BSE-Sport Training Barcelona, ​​... In particular, and with a special focus, he has advised the playersof the first team of FC Barcelona, ​​from the time of coach Loui van Gaal during the1999-2000 season and onwars and, with special dedication as Nutritional Advisser to the F.C. Barcelona during the 2009-2010 , 2010 -2011 and 2011-2012 seassons, with Pep Guardiola as coach. What is special about Ergogain cookies that do not have other energy products? Ergogain cookies contain, as a commodity, almond that is characterized by a remarkable protein content (about 19%), carbohydrates (about 20%, to which a small amount of sugar has been added) and a high triglyceride or fat content (about 54%) in which, by far, prevails oleic acid (a fatty acid with healthy benefits for the cardiovascular system) that represents about 70% of the fatty acids present in the cookies. Ergogain cookies contain about 6% dietary fiber and, due to its character of dried fruit, a low percentage of water (less than 8%). They also contain a large amount of healthy minerals such as magnesium, calcium, potassium, ..., and, instead, an extremely low amount of sodium. With the kind of, natural, "nutritional design" that present Ergogain cookies it has been sought to achieve ,basically, three main objectives related to physical activity and sport in general. 1. – Supply, in a relatively short time, carbohydrates (mainly glucose) as energetic compounds, essential for the functioning of the brain and, therefore, fundamental to achieve the best "mental clarity" in order to plan, implement and coordinate properly the complex movements involved in any physical activity. Because the reserves of glucose as glycogen in the liver (from which the adequate levels of blood glucose can be maintain) are limited, it is necessary to incorporate glucose from outside. Otherwise it would force the liver to synthesize this carbohydrate using as starting material amino acids released from proteins, mainly those present in the different muscles, with the corresponding negative effects on the integrity of the muscular system. 2. - Provide a significant amount of protein required to compensate for the losses associated with exertion, during which the increased rate of muscle protein degradation is not compensated by a similar rate in the recycling or resynthesis thereof. Due to this fact, it requires exogenous, supplemental protein to get the "muscle machine" being in the best possible condition. This is particularly important for rapid recovery, structural and functional, of the muscle mass after exercise. Almond proteins contain a significant proportion of the amino acid arginine which can not be synthesized by our body. This amino acid acts as a precursor to a series of products that help dilate blood vessels and promote blood flow, are involved in regulating the body's metabolism and detoxification processes, stimulate muscle protein synthesis, etc. 3. - Provide significant amounts of energy for muscle activity through the incorporation, at a moderate pace and adjusted to the energy demands, of fatty acids absorbed in the intestine. Studies conducted in recent years have shown that the muscles use during the performance of an exercise, up to a submaximal intensity, fatty acids stored as triglycerides or fat in the muscle fibers themselves. Except for low-intensity exercise, the majority of fatty acids consumed come from the intramuscular deposits of fat droplets and not from the adipose tissue, that has a rate of mobilization of stored fat much slower and limited in limited per time unit. It is convenient to indicate that the amount of this intramuscular fatty acid energy reserve is markedly higher than that present in the form of the well known and overstated muscle glycogen. In order that the muscles have immediate, prompt, potential energy supplied fatty acids, it is advisable that, prior to the commencement of physical exertion, intramuscular fat deposits reach the largest possible volume and then continue to incorporate, at the appropriate rate, fatty acids from the intestine, as they are absorbed. These aspects make it necessary to establish a "timing", ie a sequence in the rate of intake of Ergogain cookies and of the corresponding contribution of fatty acids, so that it should be abundant (four to six cookies) between thirty to sixty minutes before starting the effort and then keep it at a slower pace throughout the exercise, eating a cookie every 20-40 minutes depending on the intensity.of the same. It is noteworthy that the major component of the almonds (oleic acid), apart from their healthy cardiovascular effects, is a fatty acid which oxidizes (burns) more quickly and, therefore, makes energy available more efficiently during the performance of muscle activity. Why shaped as a cookie? Using almonds and nuts, in general, can be done, obviously directly ingesting the product or else, after preparing the corresponding milk-shake. In both cases, experience shows that involves a more cumbersome food preparation, it is also cumbersome to carry a container that is annoying or uncomfortable during exercise, it becomes more difficult to program the intake over time, you must prepare the shake daily or keep it in a refrigerated (for no more than a couple of days), etc.. Instead, the current presentation in the form of cookie Ergogain, is particularly convenient to transport and carry in the pockets of sports equipment, requires no special storage conditions, allows for easy energy dosage of the preparation according to the schedule effort, has a slight sweet taste, has a good consistency (very different from the rather spongy of the ordinary "almond" cookies), with an intake that is pleasant and enjoyable. To this should be added that, due to its special preparation process Ergogain cookies maintain their organoleptic and nutritional characteristics for a very long time (over a year) unthinkable for the semi-liquid or semisolid forms that can be used. In fact, although, according to the current regulations is recommended to consume the product within one year from the date of production, it was found that the stability of the cookies Ergogain is far superior to that period of time. 1) Ensure that, when starting the physical effort, the muscles containing the maximum amount of fat (triglycerides) in order to dispose of a large amount of fatty acids per unit time released into the interior own muscle fibers. To do this, it is recommended generally ingest 4-6 cookies 30 to 60 minutes before exercise, whenever circumstances permit. If this is not available in advance, you can reduce your intake to 3 or 4 cookies shortly before beginning the training session or test. Immediately before starting the exercise, eating another cookie to ensure the continued supply of fatty acids from the intestine, where they are absorbed into the muscles. Since the most abundant fatty acid in this preparation is oleic acid which is oxidized (used as an energy source) faster than other fatty acids, Ergogain allows higher energy input per unit of time. To ensure the availabilities of fatty acids and prevent, during physical exertion, reduce their concentration below a critical value in the muscle fibers, it is recommended to eat a cracker every 40-60 minutes, depending on the intensity and duration the effort. Moreover, and to facilitate rapid recovery. 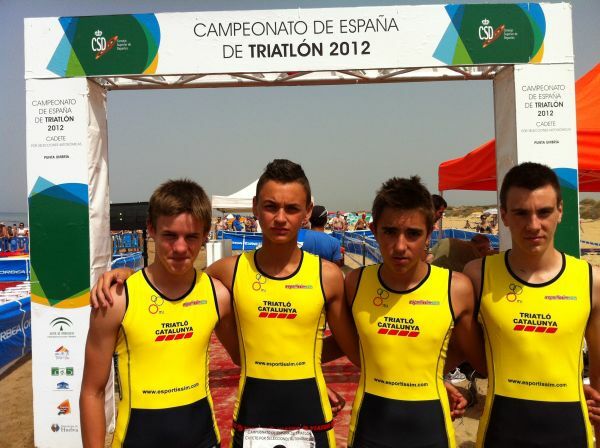 should ingest 2-3 cookies after the race or training session. 2) Ergogain contributes a significant amount of carbohydrates, for rapid use, thus maintaining optimum levels of plasma glucose over the test. It should be noted that during the year, not just the muscles that require an adequate supply of energy but also the nervous system, the brain, in particular, which is the monitoring, planning and issue the orders for the successful completion of effort. Since the brain can not oxidize fatty acids and depends must, of glucose as an energy source, it is necessary to ensure that, from liver glycogen stores or directly from carbohydrates absorbed by the small intestine, the nervous system can have the amount of energy that allows optimum function. (It should be noted that muscle glycogen cannot be used as a supplier of glucose to other structures that do not correspond to the muscle fiber it contains, only, liver glycogen can serve to "transfuse" blood glucose for the benefit of all organism, in general, and the brain in particular). 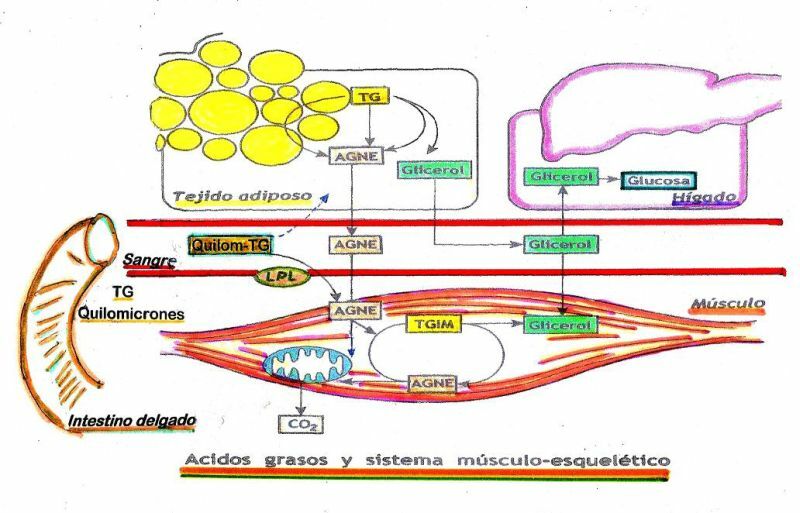 With the intake scheme outlined in the previous sections, is meant to "wear" muscle glycogen slower since, with the largest contribution from plasma glucose and increased utilization of fatty acids in the muscles themselves are reduces the rate of utilization of this energy reserve. This is particularly important because it allows spare muscle glycogen and phases reserved for higher intensity and also longer tolerate the inconvenience associated with physical exertion, as indicated above. 3) During the execution of an exercise increases the degree of muscle protein degradation and resynthesis of the recovery of the same, so it is necessary to ensure adequate intake of protein in order to compensate for this imbalance. Amino acids (the blocks of proteins) resulting from protein degradation are, for the most part, recycled to regenerate the different proteins of muscle fibers but there is always a difference between the recycled quantity and the mass required to recover Optimal muscle protein. And with recovery of 90%, approximately, of the amino acids resulting from protein degradation is not achieved resynthesize the whole protein, it is necessary supply appropriate amount of protein (thus, amino acid) from the outside in this case from ingested Ergogain cookies according to the strategy described. As can be seen easily, the scheme or the proposed strategy for intake Ergogain cookies is general and it is advisable, in each case, adjust the types of effort and personal characteristics of each. The intake of Ergogain cookies while performing physical exercise must be adjusted to the type of effort and personal characteristics of each (physical condition, age, weight, degree of training, ...). By way of indication, below it is indicated the subject intake patterns of Ergogain cookies in connection with the type of sport or physical activity practiced. In any case, the pattern should be adapted, in accordance to personal experience, to when is best suited to the characteristics of the person and assessing their physical condition, in particular, the metabolic response and the "feelings" that everyone has throughout the trial and in the hours after the effort. Is essential to ensure adequate hydration, as this is as important as the contribution of energy, this requires drinking water or the appropriate drinks before, during and after exercise. Our organs and all and each of their constituent cells require an uninterrupted flow of matter and energy to ensure maintenance, repair and/or expansion of our bodily structures and, in turn, to provide the required energy for all "active" components of our organs to carry out their corresponding functions. While carbohydrates, lipids and proteins, ultimately produced by plants, are those that provide the "life energy" that we need they do not have, by themselves, the ability to run directly our organs and systems. 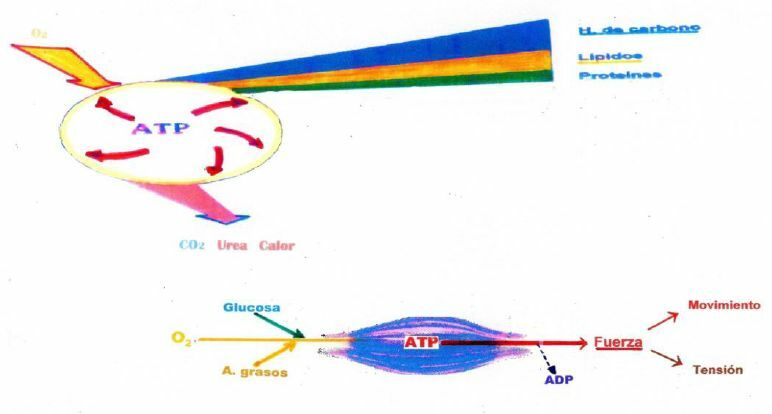 All the energy supplied by food must be transferred first to a universal composite present in all cells, known as adenosine triphosphate (ATP), the only compound directly usable as an energy source. 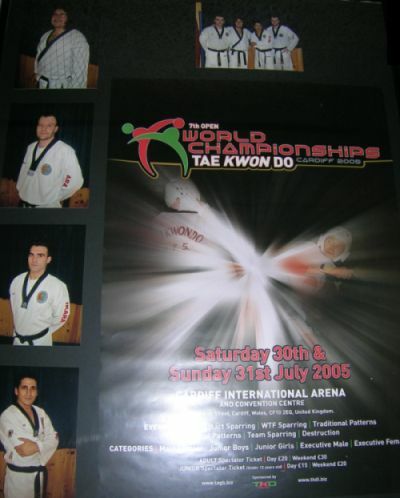 Adenosine triphosphate, or ATP, is used to perform two types of work: one internal, that we do not perceive directly but allows us to experience the sensation of well being and another of external character, manifested as the ability to move, perform daily living and professional activities or practice some kind of sport. The amount of energy used, usually in the first process (the "inside work") is much higher than that spent in the second (the "external work") associated with daily activity or exercise. Being ATP the only compound capable of being used "directly" as a source of energy by our cells, it is surprising that its concentration in the same (particularly, in the muscles) be so minimal that requires the need for appropriate mechanisms for its regeneration in the same amount and pace with which is being used. 1. - There is a small amount of a compound endowed with the same energy value as ATP called creatine phosphate (or fosforilcreatine) that allows the regeneration of ATP with maximum speed and intensity. This compound is used in the first seconds of a supramaximal type effort and every time that the exercise requires an increase in the pace of the work that is being done. 2. – Our body can obtain the energy necessary for physical exercise from glucose, of which it has significant quantities stored as glycogen in the liver (about 80 grams) and in the whole of muscles (300 to 500 grams, depending on the degree of training and type of diet followed by the athlete)]. Glucose released from such reserves can be used in two ways: by degradation to lactic acid when there is no adequate oxygen supply, in which case only a little over 5% of the potential energy of glucose is being used and, moreover, leaves a “contaminant” residue, lactic acid, which disrupts the normal development of muscle activity and quickly leads to muscle fatigue. When oxygen supply is appropriate to the intensity of the effort being made, the muscles can obtain 100% of the potential energy of glucose through its complete oxidation to carbon dioxide and water (two “non contaminant” compounds). It has been known for many years that the greater the muscle stores of glucose (as glycogen) the best will be the athletic performance and greater the endurance time to fatigue. However, one must bear in mind that the glycogen stores are relatively limited and, furthermore, when a certain degree of reduction in the content of this polysaccharide is reached an exponentially increases in the perception that exercise requires each time more "mental" effort, a fact that may result in a decreased ability to maintain the desired pace. 3. - Unlike the limited energy reserves as glycogen, our body energy reserves are much higher in the form of triglycerides (or fat) from which the muscles can obtain the corresponding fatty acids to be oxidized to carbon dioxide and water (obtaining per gram of fat a quantity of energy over two times higher than that provided by one gram of glucose). Most of the triglyceride reserves are in the subcutaneous adipose tissue, with an uneven distribution in the body, and to a lesser extent, in the abdomen, as part of the so-called visceral fat. In the form of triglycerides our body can store from 10 to 15, 20, ... kg with a potential reserve of energy of the order of 90,000, 135.00, 180.000, .. kcal (compared with the 1200 to 2000 kcal that can provide the muscle the glycogen stores). However, this system which is "extensive" (much potential energy distributed over extensive areas of our body) is very little "intensive" in the sense that it can not supply large amounts of energy per unit time and, moreover, it releases it at a very slow pace. Thus, the fat (and their corresponding fatty acids) stored in the subcutaneous adipose tissue and / or visceral fat, by itself, satisfies only the energy requirements associated with efforts of low to moderate intensity. On the other hand, it has been found that when the intensity of effort is higher than 25-30% of the maximum, the fatty acids released from adipose tissue, can not explain the total amount oxidized by the whole musculoskeletal system. This fact has forced to seek other sources and led to the discovery that, in the muscle or cell fibers themselves there is a significant reservoir of fatty acids (in the form of fat droplets) that can vary between 400 and 500 grams (with a total energy potentially available, of the order of 3500-4500 kcal, significantly higher than that available in the form of glycogen). This type of Intramuscular fat, in addition to being located in the muscle fibers themselves, has the advantage that fatty acids are made available immediately, without the delay which involved in the stimulation, release, transport, ..., processes that are required in the mobilization of the reserves present in the adipose tissue. Such triglycerides, known as "intramyocellular" fat, can be used in a significant proportion in intensity efforts up to 85% of the maximum. It is estimated that in a football game, this source of fatty acids may contribute up to 50% of the energy consumed during the competition allowing therefore to spare muscle glycogen for the moments of greatest intensity and to maintain the sense of well being for more time (it is known that the perception of effort is inversely related to the concentration of muscle glycogen and when this is reduced below a critical value, the feeling that the exercise is becoming harder and heavier increases exponentially). In order to get the fat droplets, present in the muscle fibers, to reach the maximum possible size, it has been observed that the ingestion of an adequate amount of dietary fat (like that present in almonds), preferably about 60 to 90 minutes before a game or competition, allowing to have a “locally” higher fatty acid reserves at the time of initiating the effort and, at the same time, if one continues to furnish, slowly but steadily, approximately, every 20 to 40 minutes, fatty acids absorbed from the intestine (as these are the preferred ones over those that can come from other sources), the muscle fatty acid droplets can be kept in an acceptable size along the whole exercise.